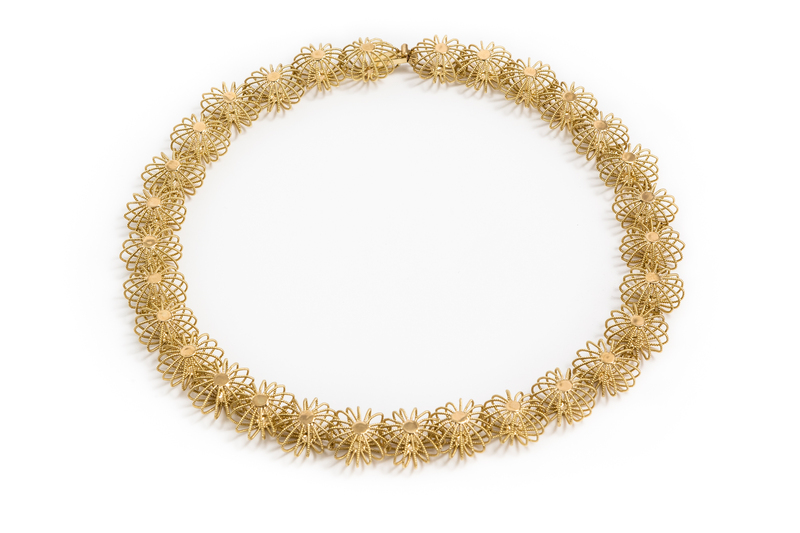 This precious gold necklace includes 30 finely-crafted and mounted filigree elements, suggesting the charming shape of a sea urchin. 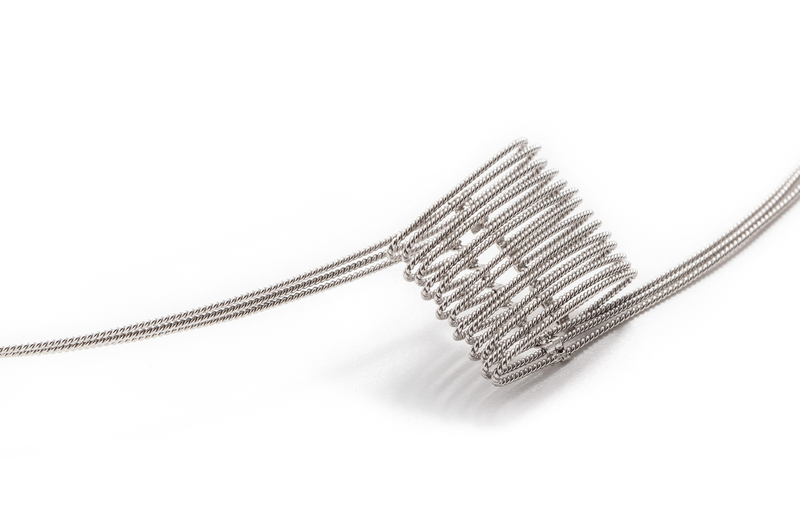 Girocollo e bracciale Traccia, Creazioni "Linea Traccia"
This silver filigree necklace is part of the Traccia collection: elegant in their simplicity, refined, three filigree threads become an original necklace shaped by the dynamics of their movement. Also a bracelet is available with the same design. This sophisticated intertwining of gold threads is part of the Modus Auri collection, one of the products developed within the Inkoro project, curated by architect-designer Angelo Mangiarotti. 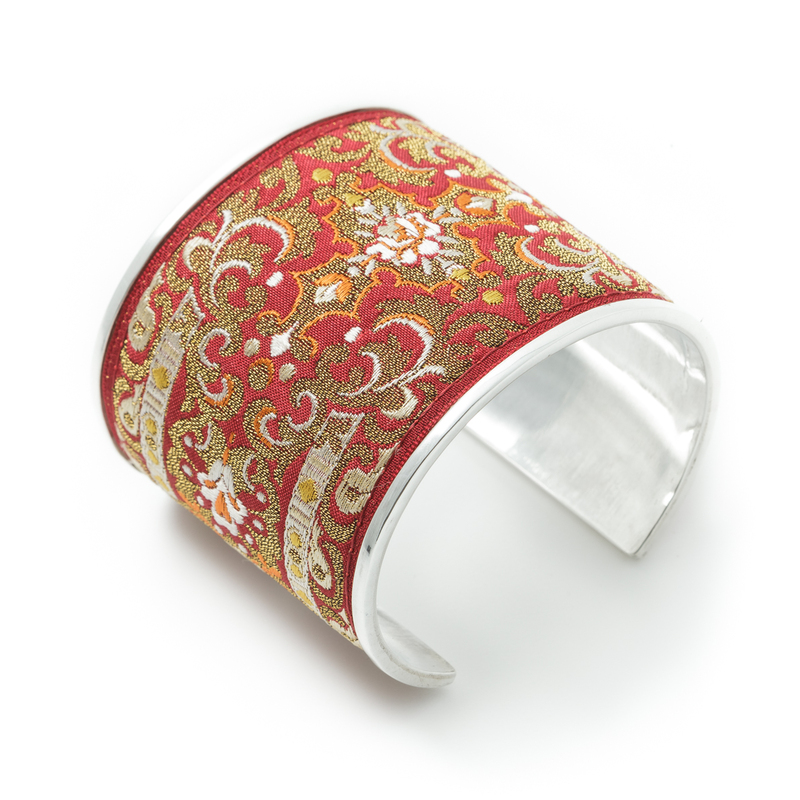 This hand-finished silver bracelet and decorated with precious brocades features a simple linearity of shapes and the vibrant colours of the brocade. 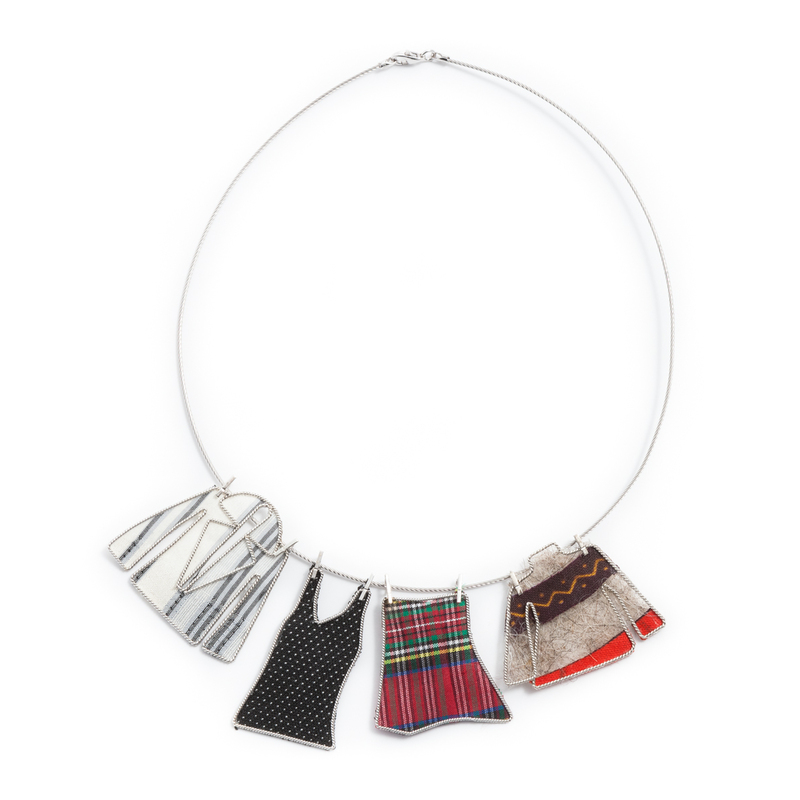 It embodies the essence of traditional Sardinian costumes and local tradition. Nowadays, filigree is still the most popular technique used in Sardinia jewellery, granting a peculiar identity to local production, mainly due to the virtuosity achieved by local artisans. Over time, new techniques and experiments have be performed. Charming and interesting results have been crafted. 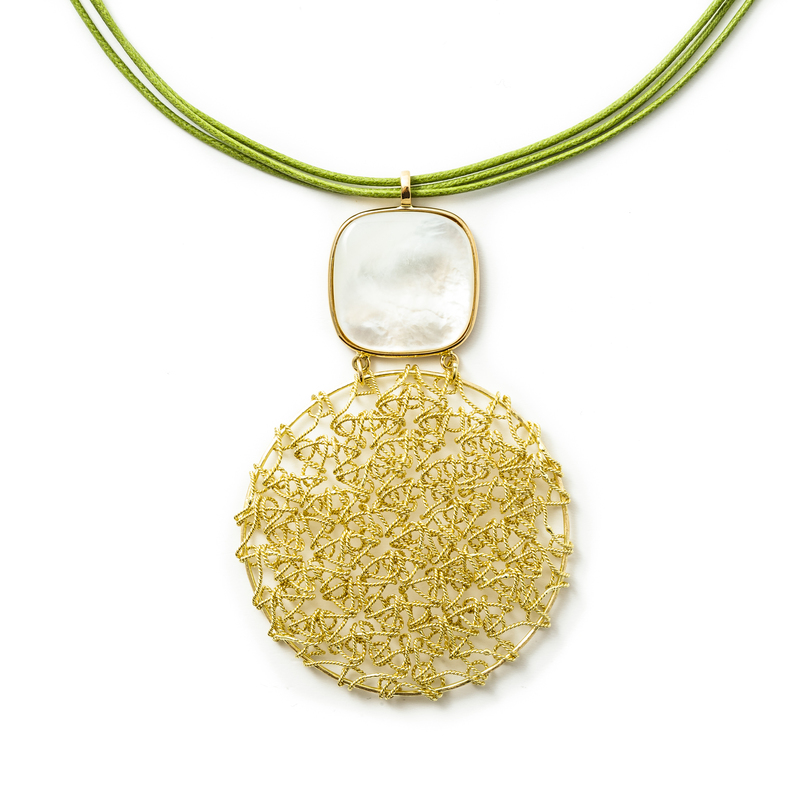 These experiences reinterpret the great goldsmith's art tradition of the Island, but also open up to interesting original collections, closer to the most modern designs. A local heritage, an added value, approached under new perspectives, recalling local traditions, resulting in original modern collections and giving new life to knowledge and skills.